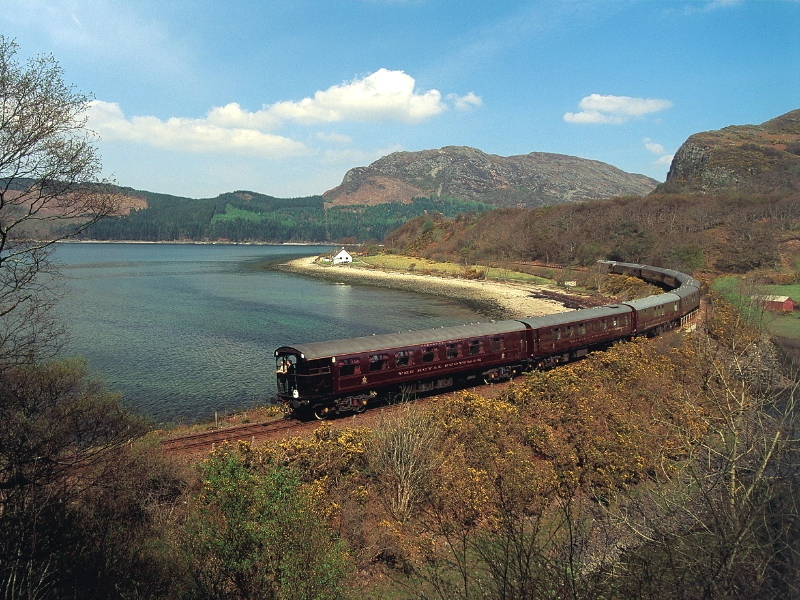 Royal Scotsman train. Photo courtesy of Belmond. 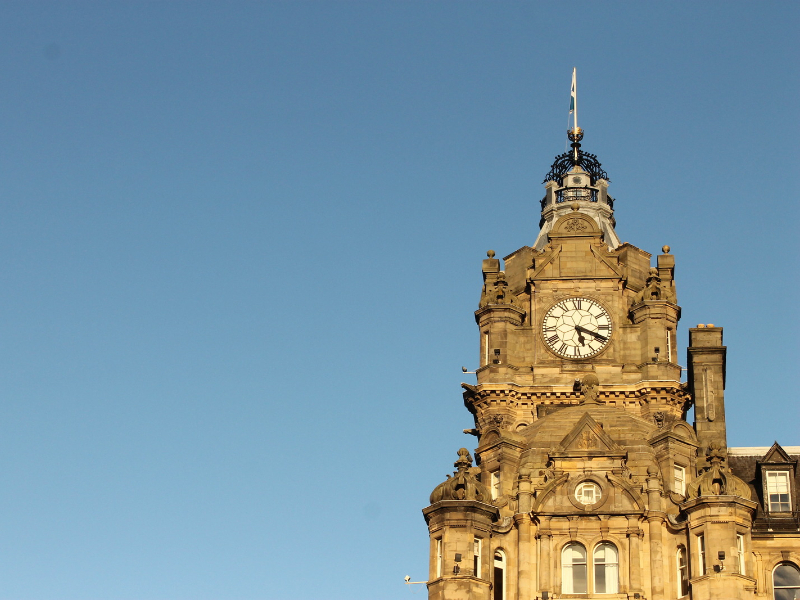 It’s no secret that we at Luxe Beat are fans of The Balmoral Hotel, but the place is a perfect spot for a pre-departure stay, as it is located directly above Waverly Station and the hotel staff coordinates perfectly with the train crew to ensure seamless arrangements, such as transferring luggage from your room right down to the train. The Balmoral’s Hotel’s SCOTCH bar designed by Olga Polizzi, has some 400 Scotch whiskys on offer and a tasting experience is a must-do during your visit. Shortly after boarding, our group of two dozen were crossing the Firth of Forth when a copious afternoon tea was laid out: heaps of salmon sandwiches and pastries. As we traveled north, my fellow passengers gathered in the observation lounge to watch the passing landscape. Crossing over the Tay, Scotland’s longest river, I thought, We’re drinking tea while crossing the Tay! 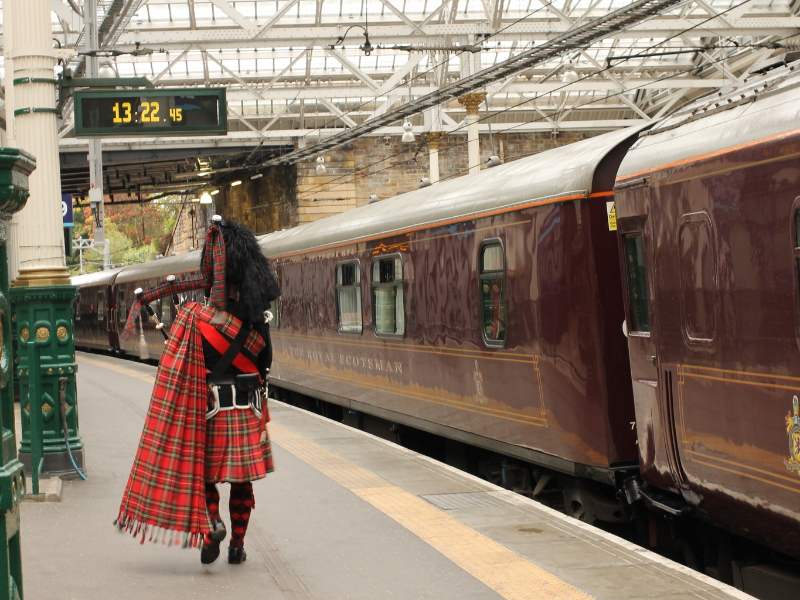 My journey on the Royal Scotsman was full of such once-in-a-lifetime moments, sensory and cultural stimuli of all sorts. 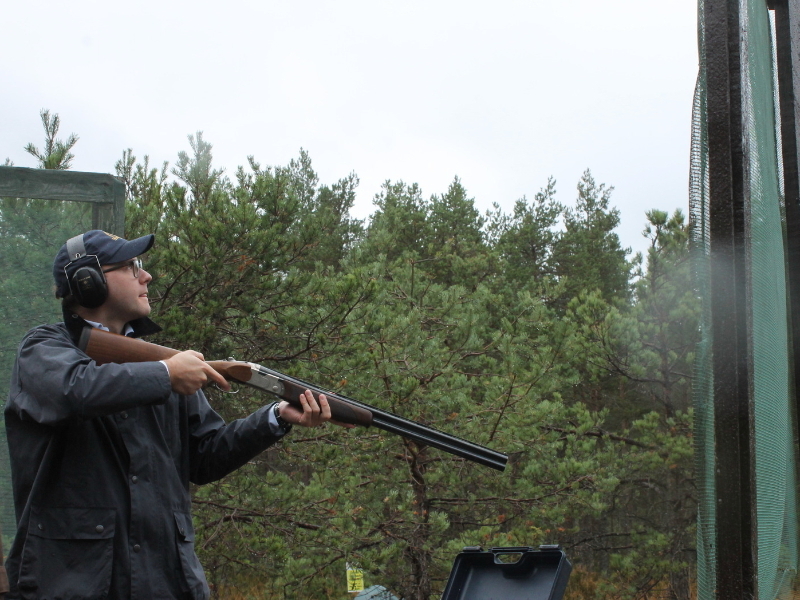 At Rothiemurchus Estate, I shot clay pigeons during a light rainfall before being received by the Countess of Dysart (who prefers, I had been told, to be called Philippa). So Philippa it was when she and I had a friendly chat in the mudroom of the big house, where I was hanging my coat as she dashed in from the rain, bright and energetic as can be. 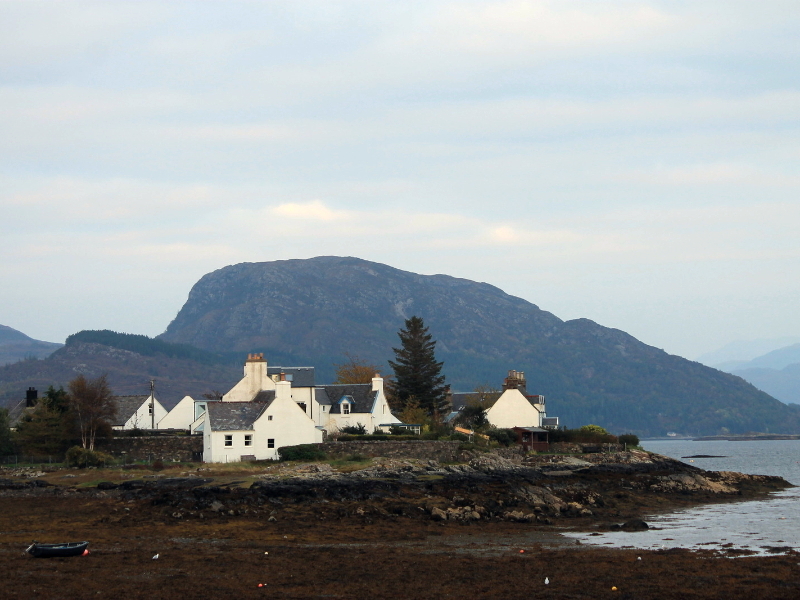 Another morning, as the only taker for a proffered early-hour guided hike from the village Kyle of Lochalsh to the Isle of Skye, I gazed from atop the bridge at a lighthouse designed by Robert Louis Stevenson’s father and uncle. 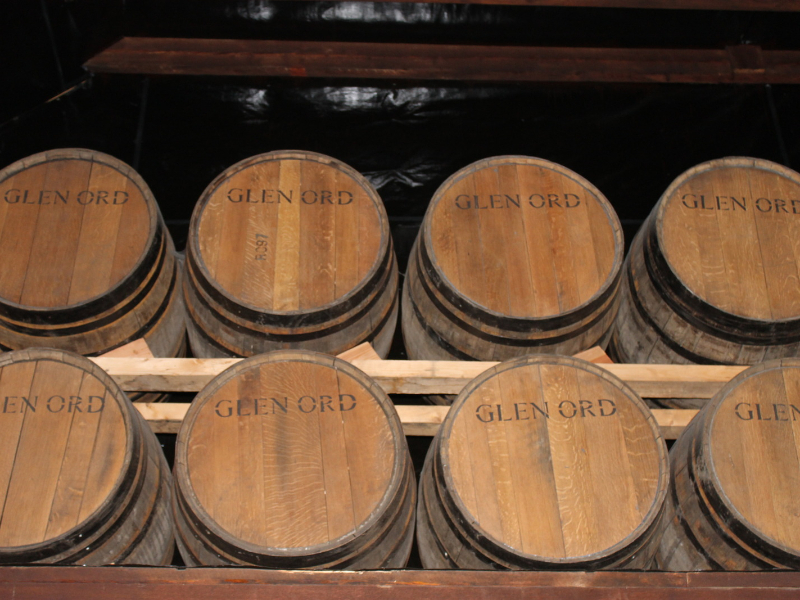 Three hours later, at the Glen Ord distillery, I was encouraged to sniff the inside of a sherry cask and then a bourbon cask, the better to understand the difference in aging processes among the distillery’s various Singleton products. Yes, it was a fun and busy week. We passed lochs and glens and kyles and fields of strawberry and heather. I felt compelled to ask our guide to point out the precise moment when we crossed from the Scottish Midlands into the Highlands, and she did. The train travels on shared national railway lines, and then at night the conductor pulls to a siding so passengers get a peaceful night’s rest. 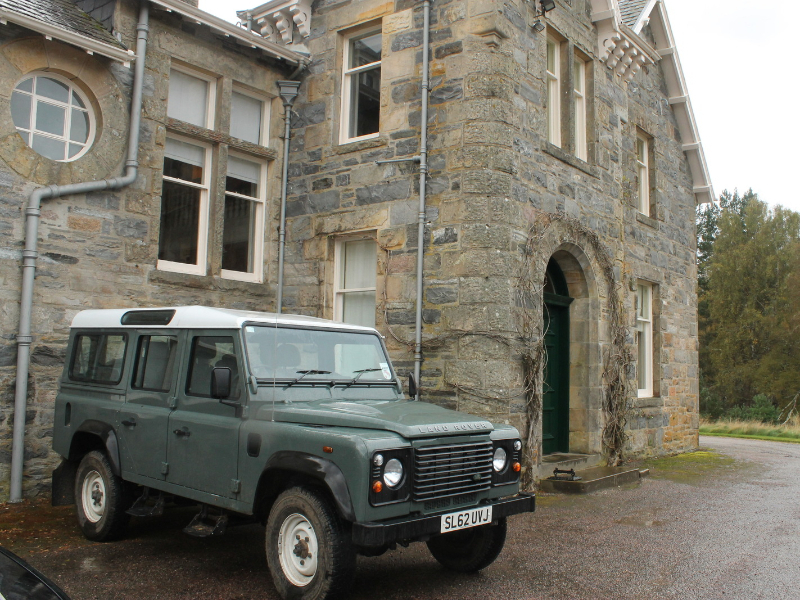 Options for daytime activities include golf, fishing, walks and castle visits. A highlight of our trip was the 16th-century Ballindalloch Castle, ancestral home of the Macpherson-Grants, who still live there. But they’re not the only old family on the property: the Ballindalloch Aberdeen Angus cattle are acknowledged to be the oldest Angus herd in the world, directly descended from the native cattle of northeastern Scotland. 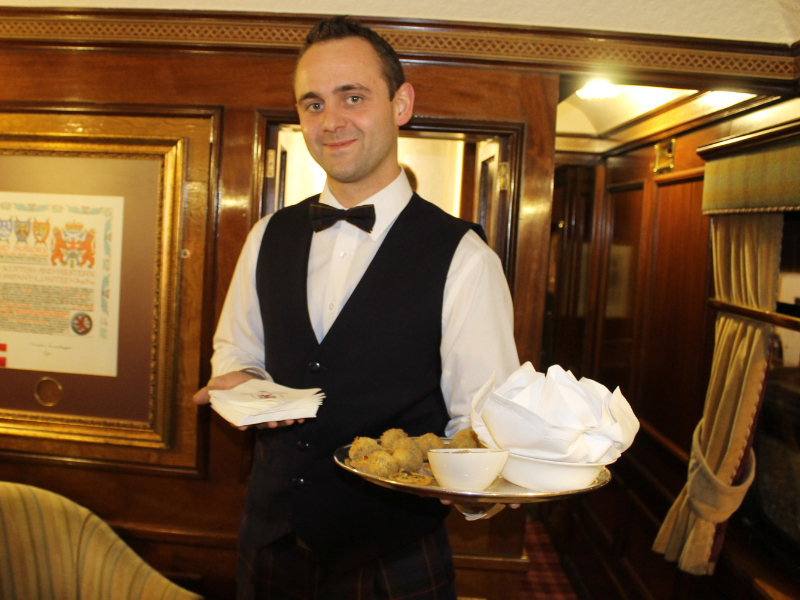 A couple of nights on board are designated formal, with black tie for men (kilts are encouraged). 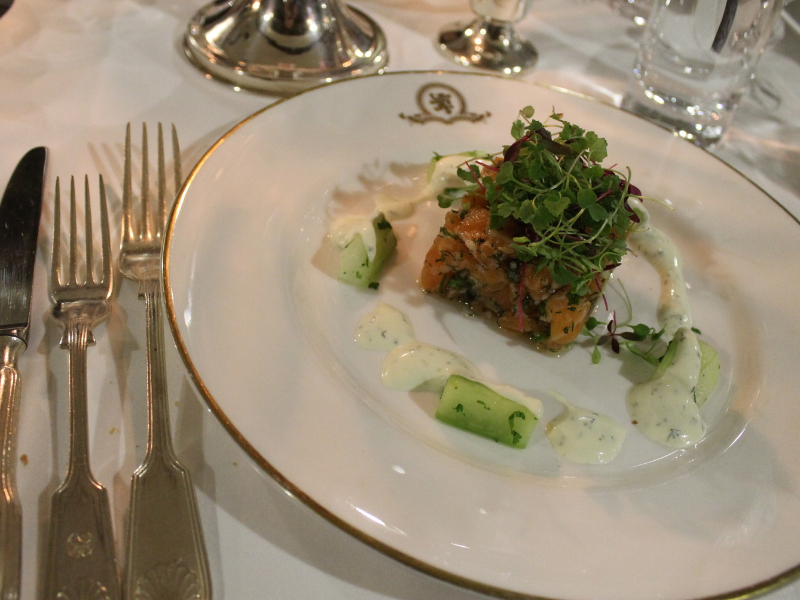 The food is worthy of dress up; there are Michelin-starred chefs in Scotland whose careers have included a stint aboard the Royal Scotsman. On my way to bed one night I peeked into the darkened galley car to see sheets of dough that had been rolled out and left to rise overnight before being baked into breakfast pastries. But my breakfast treat was a kipper, which I’d never tasted before. Kippers make an appearance at breakfast in just about every 19th-century English novel I’ve ever read, but the diminutive-sounding name always made me assume a kipper was a little thing like a sardine. It’s actually a whole smoked herring—and delicious—served grilled with a dab of butter. Among my fellow travelers were Woodside residents Klaus and Hella Honeker. 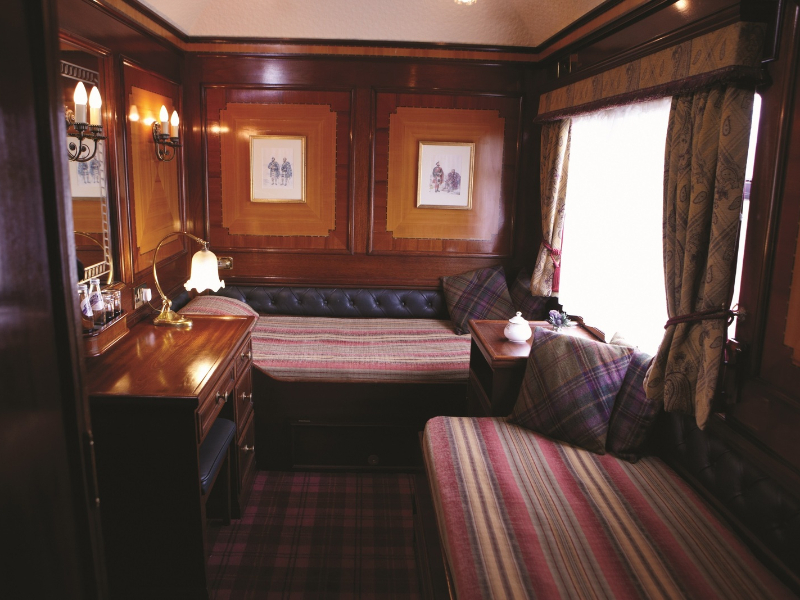 Since Klaus is a vintage train buff, this was the couple’s fourth trip aboard a luxury train, and he called it “by far the most comfortable, best-organized and friendliest journey yet. 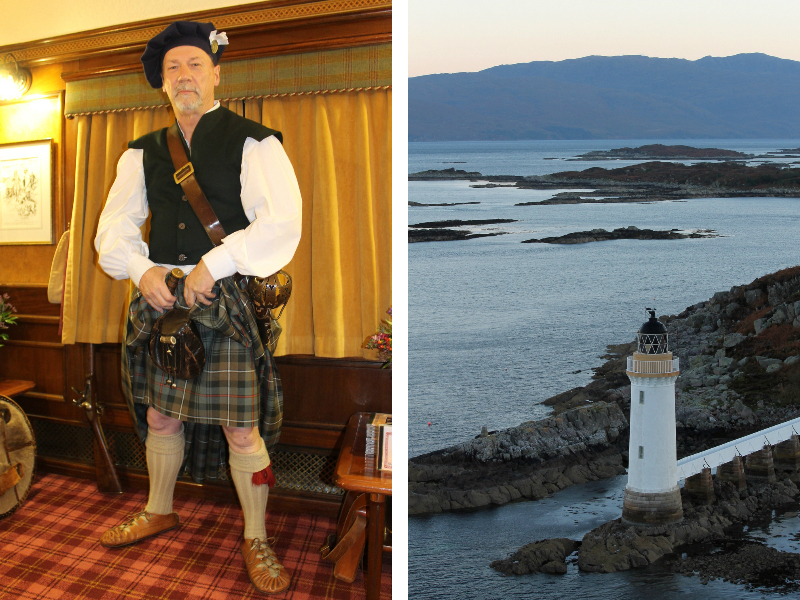 One evening we had a visitor on board: a Highlander in full regalia who posed as a comrade of Andrew de Moray and William Wallace at the Battle of Stirling Bridge in 1297. (His distinguished military service appeared to span several centuries.) He entertained us with some historical lore and then invited questions. “What’s in the sporran?” someone asked, referring to the pouch hanging from the front of his kilt. “Oats,” he replied. 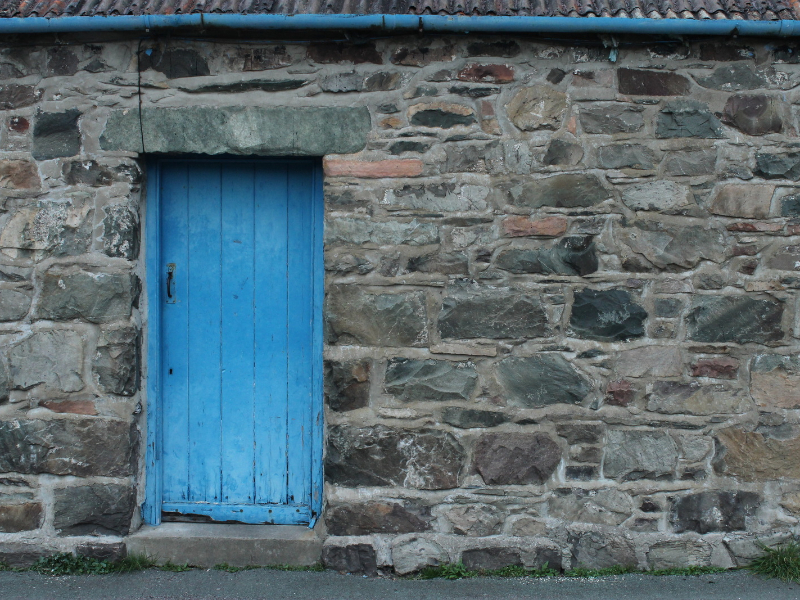 The old highlanders were lean and mean, and often a handful of oats was an afternoon’s sustenance. We all contemplated that as we sipped our after-dinner coffee and passed around a plate of chocolates. This story originally appeared in different format in the Nob Hill Gazette. 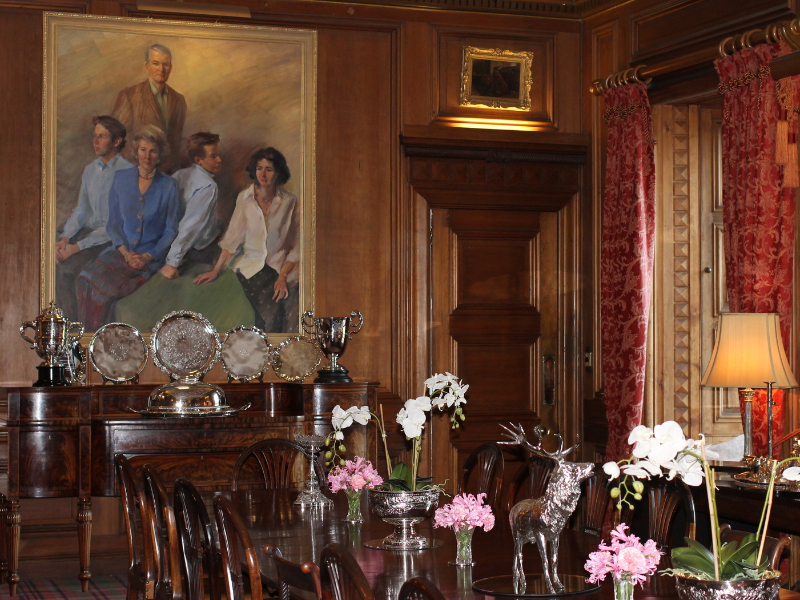 Fredric’s stay was hosted by Belmond, but as always his thoughts and opinions are his own.